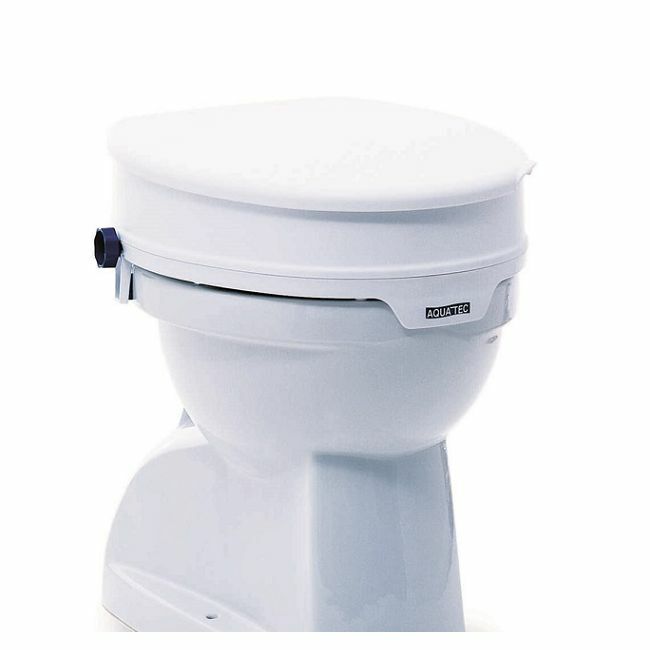 Stand up and sit down from the toilet with ease using a raised toilet seat with lid. The Aquatec raised toilet seat with lid raises the toilet by four inches to make rising and lowering easier for people with limited mobility. This bathroom mobility aid is easy to install and locks securely to toilet bowl using blue tightening bolts.